Index - Apache Gora - Apache Software Foundation for your Wiki! This is where you can learn and contribute to various aspects of the Gora documentation. If you would like write access to the wiki, please email dev at gora dot apache dot org. ALSO SEE THE GORA EXECUTIVE SUMMARY - A one page document describing all you need to know about Gora. 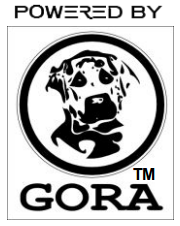 Official Gora LogManager Tutorial - An introduction to the Gora API and basic functionality. GoraExamples - A collection of simple Gora example which feature data structures for persisting and querying Aliens, The Simpsons and typical User entires. Currently the examples use CassandraStore. ImpoExpo - Advanced data modeling for heterogeneous NBA data such as free unstructured text, semi-structured text and structured JSON. This includes advanced ETL logic and data store mapping using SolrStore. Troubleshooting with gora-cassandra - Relates to Java reporting an error saying there are too many open files. From Incubation to Continuous Ingestion: The story of Apache Gora - A talk presented by Renato Marroquin at ApacheCon Europe 2012 (Nov 2012). Large-scale web analytics with Accumulo (and Nutch/Gora, Pig, and Storm) - A talk presented by Jason Trost at an Accumulo Meetup group co-located with StrataConf/Hadoop World in NYC (Oct 2012). We will grant you write access. :TODO: is used to denote sections that definitely need to be cleaned up.